My thoughts and opinions on PR related topics. The Resume: Something every person will have to create at some point in their life. With the end of the fall semester coming up, many students are getting ready to start applying for spring and summer internships, as well as jobs. This is definitely the time of year to dust off the cobwebs from your resume and make it job and internship worthy. So how does someone create a perfect resume? I personally do not believe in a “perfect” resume, but what makes a resume great and relevant? Everyone has their own personal opinion on this topic, but here are my tips to making your resume shine. How long should your resume be? This is something every person more than likely struggles with. I personally keep my resume to one page. After attending several conferences and speaking with professionals, a resume that is multiple pages may be thrown out or overlooked. Usually you have 10 seconds or so to engage an employer with your resume, so obviously if this is the case they may not take the time to look at a resume that is more than one page in length. Another reason a one page resume works well is because you should always cater your resume to fit the job or internship you are applying for. There is no need to fit every experience you have into your resume, especially if the experience is not relevant to the job or internship you are applying for. For instance, if you are applying for an internship that is mainly event planning you would more than likely not include a fast food part-time job you had in high school, unless of course it somehow ties into that event planning internship. 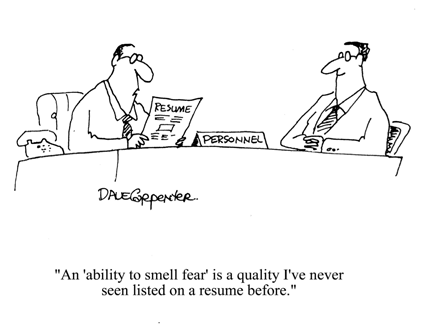 What should you include in your resume? I have heard, and seen, several different things when it comes to the content and layout of your resume. The things that I always include on mine are the following: name, permanent address, e-mail address, phone number, Twitter handle, link to LinkedIn, objective, education, experience, qualifications and activities/awards. I could make this post really long discussing all of these things, but I will not do that. Instead I am going to discuss the most important things that need to be on your resume: Objective, Education and Experience. Objective: This needs to be included on your resume, because it is telling the employer why you are a great candidate for the particular position you are applying for. Obviously the objective will change with each different job or internship you apply for, because just like with anything on your resume you need to cater it to fit the description of the job or internship you are applying for. Education: When it comes to education my tip would be to include the college(s) that you attended, along with the degree(s) you received. On my resume I have the name of my university, my expected graduation date, what my degree will be, my concentration and my minor. Something questionable to include on your resume is your GPA. I do not personally feel like you need to include your GPA on your resume, unless of course you are applying for an internship that requires it. However, I have never heard of an employer that requires your GPA for a job. If you have a high GPA and you want to show it off by all means include it on your resume, you did work really hard for it after all. In my opinion though the employer wants to know you can put what you learned in the classroom to use in the real world, therefore experience you have is more important than your GPA, so it is not needed. This is just my personal opinion though. Experience: Just like I have already mentioned, when you are applying for a particular job or internship cater the experience you include on your resume to fit that description. While we are in college we gain all of this real world experience doing numerous different things for our major. However, you do not need to include all of these things on your resume. Only include things that will show the employer you are sending your resume to that you have the experience to do that specific job. If I included all of the experience I have on my resume it would be way more than one or two pages. Your goal is to catch the employers attention with your resume, not make them shrug it off because it is to long. I cannot say this enough: cater every part of your resume! The last thing I will leave you with is make your resume stand out! 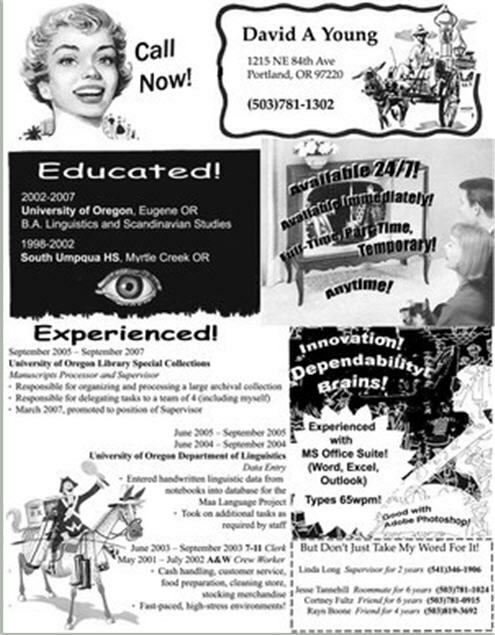 Okay, maybe the picture of the resume above is a bit much, but you get what I am saying. Employers are used to seeing resume after resume that all look exactly the same. Change it up a little! Do something creative that brands your name and makes the employer actually read your resume. That is your objective after all, is it not? What are your opinions: Should your GPA be on your resume? What else should you include? How long should your resume be? Buttttt as you may know, I’M SO GLAD YOU BROUGHT UP THE ONE PAGE RESUME. So many people think they have “so much” experience. Make your font smaller, change the format and take out the unnecessary stuff. TAILOR YOUR RESUME TO FIT THE JOB YOU WANT. We can all do one page. Mine is filled now, and I’m sure I can still add on more things if I format it the right way. This is a great post. I have been struggling on how to make my resume creative and different and yet still professional. I have also struggled with keeping my work experience on my resume even though it is not PR related. I feel like it helps express that I have held and can hold a job. Thank you so much Joelle! I am happy I’m writing again. I always miss it when I am super busy. You are exactly right with GPA. There is no right or wrong answer, it is all personal opinion. I have only seen a few internship descriptions that require a GPA, but all of those were also internships only offered to students. You are right about corporate as well. While I personally have not encountered this people I know have. One page, yes! I really do not understand why people need to go over that anyways. You have a portfolio and if you go in for an interview you can talk about other experience you have. Your resume is just a snippet of you and your experience. Include all of your experience in your portfolio and discuss it in the interview if it is brought up. Going along with tailor your resume, only pick the best experience you have that fit into the job or internship you are applying for. I only keep three things under my experience section at a time. I change them out, depending on what I am applying for. Tara, I think that is the most difficult thing about a resume: making it creative. I know I have had a difficult time trying to make mine creative, but I finally found a way to brand myself and I love it! I agree with you. Showing under your experience that you have held a job before is important, especially if you do not have any experience in the field you are going into. Its not just a fantastic story. It can be something that helped me to boost my abilities. For the Love of PR! Don't forget to subscribe for updates!